The Merry Ploughboy Irish Music Pub Dublin. The only pub in Ireland owned and managed by Traditional Irish Musicians. Our award winning Irish music and Irish dancing show runs almost every night of the year. Book and make payment to receive an email confirmation of your show booking. No printer is required. If you have not finalised your date(s) or the number of guests yet, you can fill our our provisional enquiry form. Preview the dinner menu you will choose from at the show. Special dietary requirements are catered for. Our shuttle service from Dublin city centre can be booked online. We are happy to help arrange transportation for larger groups as well. The show runs from 8pm to 10pm. Arrival time for dinner is from 6.30pm onwards. 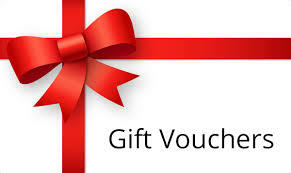 Gift vouchers can be purchase online and posted out to you (or directly to your to the recipient). Browse our bar food menu that offers delicious and remarkable food. Daily specials are a popular feature. Submit a bar food booking request. We respond promptly by email. Whether it is a Christmas party for the office, a get-together with friends over the Christmas break or vouchers for the Christmas stocking, we have you covered. Dublin has become one of the best places in the world to celebrate New Year's Eve. So good in fact, that we now have a "New Year's Festival" evert year, and 2019 will be no different. 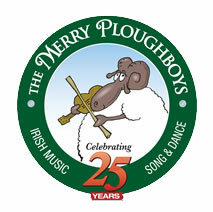 Playing together since 1989, the Merry Ploughboys are one of the longest performing live bands in Ireland. There is live music in the bar every Friday, Saturday and Sunday. We are proud to be one of the best pubs for live music in Dublin. Get in touch by email, join our mailing list, follow us on social media or pick up the phone and give us a call. Details of any openings currently available at the Merry Ploughboy Irish Music Pub in Dublin. Our Thanksgiving Dinner & show can be booked online and is an ideal option for any visitors from the USA spending their 2019 Thanksgiving Dublin. Saint Patrick's Day at the pub is a highlight of the year and one of the best places in Dublin for Irish music and dancing on Saint Patrick's Day in Dublin. There is music in the bar all day (usuallly from 2.30pm) and our traditioinal show is the ideal way to celebrate Saint Patrick's Day in Dublin. A selection of links to other services that might be of interest to visitors to Dublin and elsewhere around Ireland.